Let’s celebrate pride together, with love for all LGBTQIA community! Join our happy-go-lucky rave situation Homodrop this Pride for a no-holds-barred big gay spectacular! 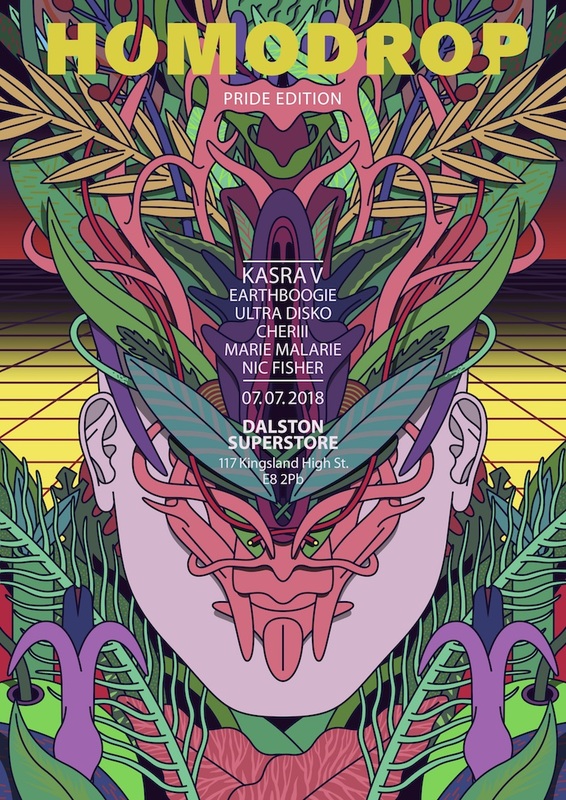 Their resident selectors Cheriii and Marie Malarie are joined by Iranian vibe wizard Kasra V, Earthboogie and more! Get out of the commercial noise of central London and take things underground to celebrate the whole messy, beautiful queer spectrum with us!